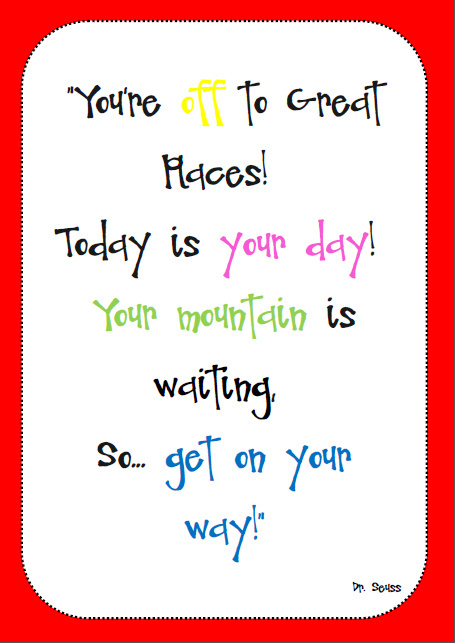 Dr. Seuss is one of my absolute favourite authors! Not only is Dr Seuss fun to read but he’s pretty profound and motivating too. Here are two of my favourite quotations from his book ” Oh, the Places You’ll Go”. Please click here to print. I hope to get to Ikea soon and snap up some cute frames to put them in. They are going to look soooo cute in my classroom! 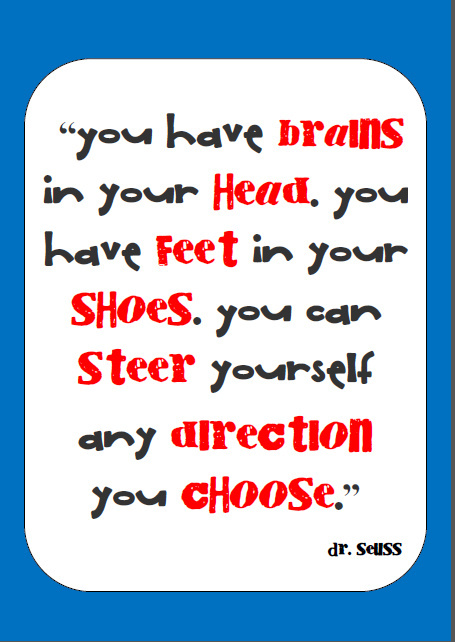 Do you have a favourite Dr. Seuss quote or book? Please leave a comment. I would love to know! I am not sure if this book is good for bedtime because you have to be really alert to read it but then by the end your brain is tired from concentrating, so maybe its good for getting you to sleep!